The Russian team, who no one really expected to reach this far, was knocked out by penalties in the end as Croatia passed on to the semi-finals which are now set to become an all European affair. Next Tuesday and Wednesday will see matches between respectively France versus Belgium and England versus Croatia. 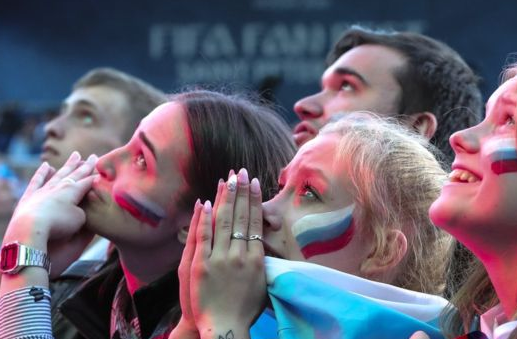 Russian fans and players wept at the end of their team’s tournament performance, which was far better than anyone would have bet beforehand. The country pulled off a stellar 2-2 against Croatia before being knocked out by penalties. The Russians had earlier in the tournament stunned the world by kicking out former world champion Spain and winning against both Saudi Arabia and Egypt in their group games. But now it is all over and fans of the world cup are left with four teams who can crown themselves the follower of Germany 2014, and three of those were not amongst the favorites at the start. With Germany, Spain, Brazil and Argentina sent packing early, the European teams will decide amongst themselves who will take home the trophy. This is the technical semi-final between two free-flowing teams that both play attacking football. It is anyone’s guess as to who will attack and thus leave space at the back on Tuesday. Furthermore, given that the respective leaders of those countries, President Emmanuel Macron of France and Prime Minister Charles Michel of Belgium, will probably be hosting US President Donald Trump for a NATO summit at the time the match is being played, this could make for some lovely political pictures. France is a slight favorite for this one, but as Belgium knocked out Brazil in their last game no one is counting them out. English fans are going mental after being thrust into the semi-finals for the first time since 1990 and as they are facing Croatia for a place in the ultimate game, many will be left to say that they haven’t had any real opposition just yet. The English fans won’t care as lifting the trophy will be all that matters in the end. The Croatians looked very good during their group match against Argentina (0-3) but have been lackluster during the knockout stages, needing penalties to progress against both Denmark and Russia. Expect a waiting game between these two sides.